Dr. Richard Whitley is a Distinguished Professor of Pediatrics, Vice Chairman of the Department of Pediatrics and Co-Division Director of Pediatric Infectious Diseases at the University of Alabama at Birmingham School of Medicine. He also holds the titles of Loeb Eminent Scholar Chair in Pediatrics; Professor of Microbiology, Medicine, & Neurosurgery; Senior Scientist, Department of Gene Therapy; and Co-Founder and Co-Director, Alabama Drug Discovery Alliance. An expert on how antiviral therapies fight infections in children and adults, Dr. Whitley’s research spans four decades, during which he has published more than 373 scholarly articles on pediatric infectious disease. In 2009, Dr. Whitley was appointed as one of 14 members of a panel advising President Barack Obama about the H1N1 virus. He and his peers from across the country spent three weeks in July writing an 86-page report to President Obama on the country's preparations for the pandemic flu. After attaining his medical degree from George Washington University School of Medicine in 1971, Dr. Whitley completed his pediatric internship/residency and fellowship in infectious disease and virology at UAB from 1971 to 1976. Dr. Whitley’s honors are numerous and his professional organization involvement extensive, including NIAID AIDS Task Force membership; NIAID DSMB Clinical Trials Committee (Chairman); Associate Editor, Journal of Infectious Diseases (2005-Present); President, International Society for Antiviral Research (1988- 1990); AAP Award for Excellence in Pediatric Research (1991); Elion Award, International Society for Antiviral Research (2004); Chair, BSC, CCID, CDC (2005-2010), UAB President’s Medal (2007), NIH National Adv Allergy and Infectious Disease Council (2008-2012), and President, Infectious Diseases Society of America (2009). In 2013, he was named as the inaugural recipient of the Distinguished Clinical Research Scholar and Educator in Residence at the NIH Clinical Center. 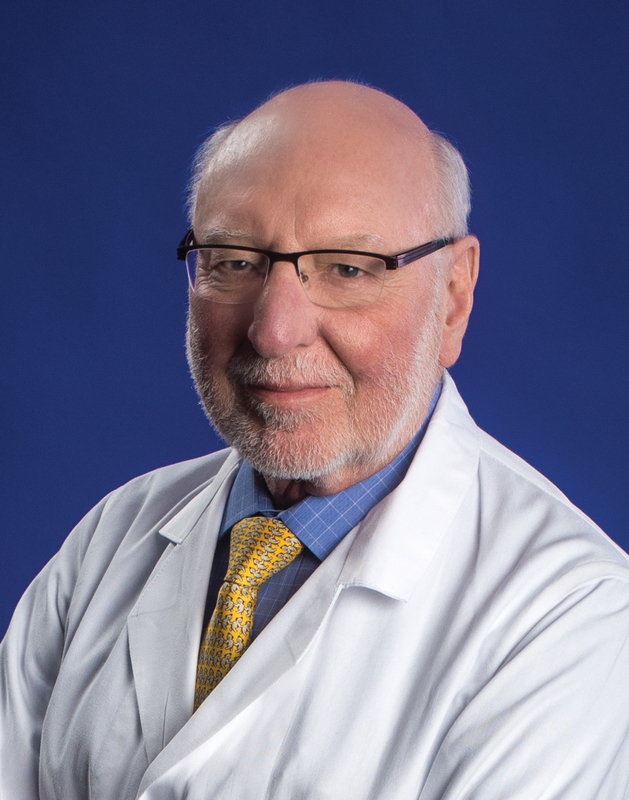 He has received numerous other awards and lectureships, including the 2016 UAB SOM Dean’s Excellence Award in Research for Senior Faculty, the Department of Pediatrics Lifetime Achievement Award in Pediatric Healthcare in 2017, and has been elected to Honorary Fellowship of the Royal College of Physicians of Ireland, Frederick House, Dublin, Ireland in 2017. I have spent 35 years developing antiviral drugs from lead molecules through all phases of clinical development (Phase I to III). This work has led to several NDAs for multiple drugs and a variety of diseases. I am responsible for the NIH-Funded Antiviral Drug Discovery and Development Center. The purpose of the center is to discover potential new drugs which could be used to treat infections such as West Nile virus and influenza that routinely infect US citizens, and for which we have limited or no treatments. We will also strive to develop therapies for emerging infections such as coronaviruses, dengue and chikungunya which pose risks for traveling US citizens or could be imported into the country by others. I have worked with and mentored pre- and post-doctoral fellows and assisted them through all phases of their professional development. Hart J, Tillman G, Kraut MA, Chiang H, Strain JF, Li Y, Agrawal AG, Jester P, Gnann JW, Whitley RJ. West Nile Virus neuroinvasive disease: neurological manifestations and prospective longitudinal outcomes. BMC Infectious Diseases, 14:248, 2014. PMCID PMC4020876. Markert JM, Razdan SN, Kuo H, Cantor A, Knoll A, Karrusch M, Nabors LB, Markiewicz M, Coleman JM, Lakeman AD, Palmer CA, Parker JN, Whitley RJ, Weichselbaum RR, Fiveash JB, Gillespie GY. A phase I trial of oncolytic HSV-1, G207, given in combination with radiation for recurrent GMB demonstrates safety and radiographic responses. Molecular Therapy, February, 2014. PMCID PMC4015243.